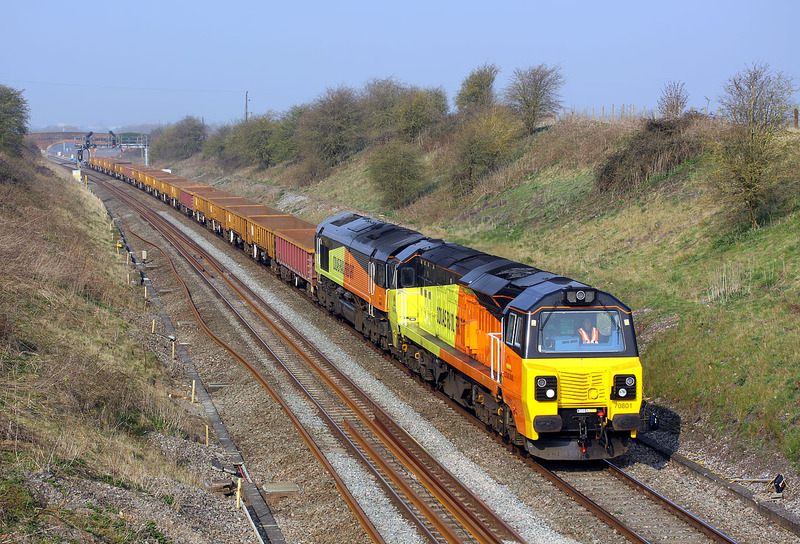 70801 & 66846 pass Bourton in slightly hazy light on 9 April 2015 with the 6M50 07:55 Westbury to Bescot engineer's train. A contrast in the aesthesis (or otherwise!) of General Electric and General Motors heavy freight locomotive designs.